I love the all natural beard care products and the Bee Cosmetics Beard Oil is all natural but they also use the Beeswax from their own hives in this oil! Yes Beeswax in beard oil and no I haven’t finally lost the plot. The base for this beard oil is Apricot Kernel, Argan, Jojoba & Beeswax and it is the first time I have a beard oil that contains beeswax. It is a very nice blend of ingredients that has left my beard feeling soft, looking good and also has finally totally soothed the skin under my beard. Yes I have had an itchy beard ever since using some products from a brand that did not get the assessments carried out on their products and I beleive there was way too much Fragrance oil used and my skin paid the price. The scent for the Bee Cosmetics beard oil is Juniper, Lemon & Frankincense. Fresh, sweet and with a very slight warmth in the background from the Frankincense. It was subtle but not so subtle you couldn’t get the scent and it is very nicely done indeed. You just don’t get this quality in the high street brands and also what you get when you buy from Bee Cosmetics is a product that has been lovingly created from a family run business. Yes Bee Cosmetics is run by Elizabeth, Derek & Joseph Ready. Elizabeth creates the products whilst Husband Derek takes care of the hives and Joseph is the IT and social media guy who also designs the labels. 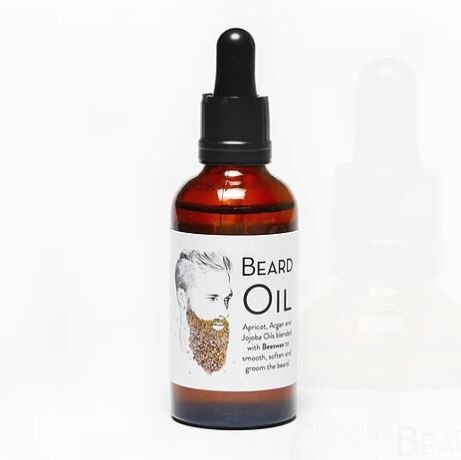 Now if that wasn’t enough reason to head to the Bee Cosmetics website, how about the fact that the Beard Oil is a 50ml bottle with glass dropper and costs £10 and yes I hear you “thank you very much, now take my money” you all cry!